Hi, it’s Christina. 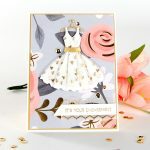 Creating a card with simple shapes can be a real eye catcher and for mine, I used the Diamond Shapes in the Tumbling Block Quilt Etched Dies from the Quilt It Collection by Lene Lok. 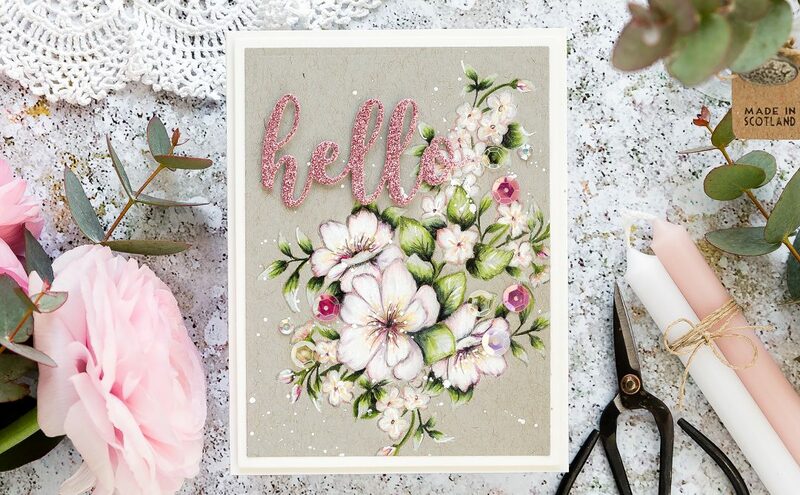 Combine it with some pretty floral papers and you have a stunning card. With low tack tape, secure Stitched Borders Etched Dies all five Border Dies side by side and emboss with a piece of white cardstock. 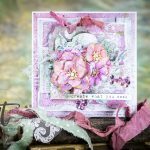 Cut Tumbling Blocks Quilt Etched Dies from the floral patterned paper as many as you would like for your card. Then add foam pads to the back of the shapes. 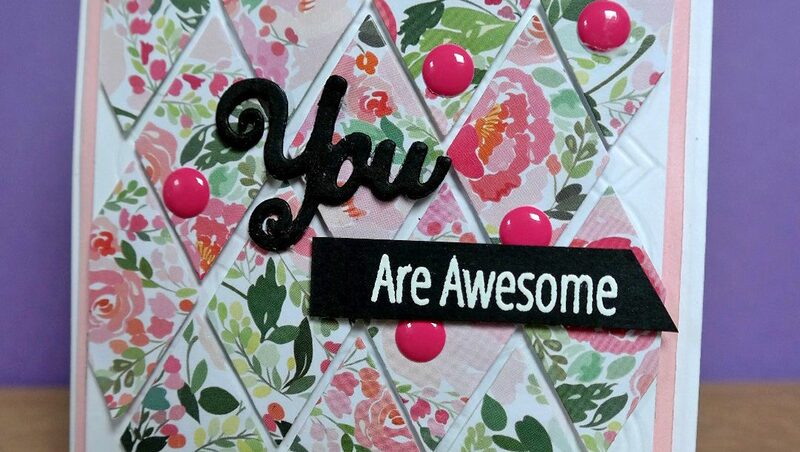 Trim off the excess on edges of the card and then add the panel onto the pink layer. Then add the layered panel onto the base card with foam tape for dimension. 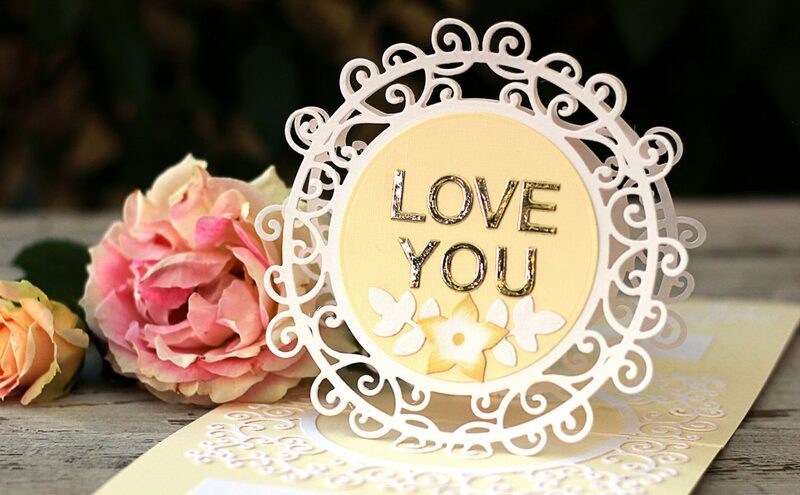 With black cardstock, cut Die D-Lites™ Love You Etched Dies YOU part of the die several times and stack together for strength and dimension. 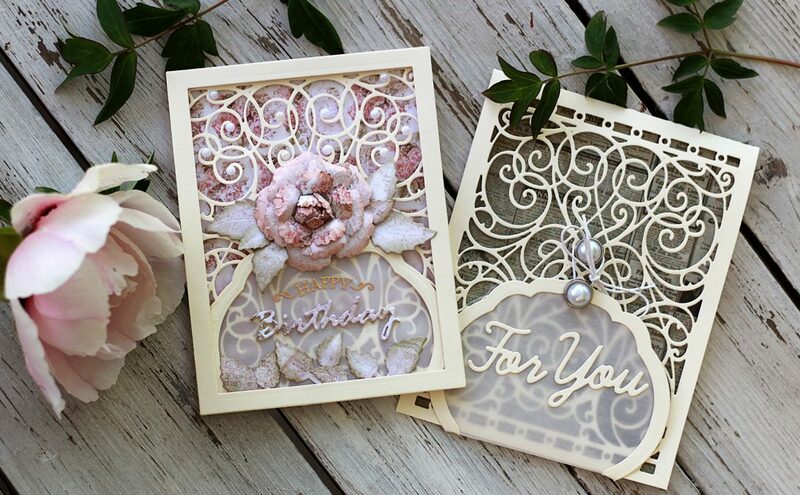 Stamp an appropriate sentiment onto black card and emboss with white powder, add foam pads to the back and trim as needed. 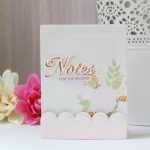 Add both to the card front as you would like them and dress with the enamel dots.